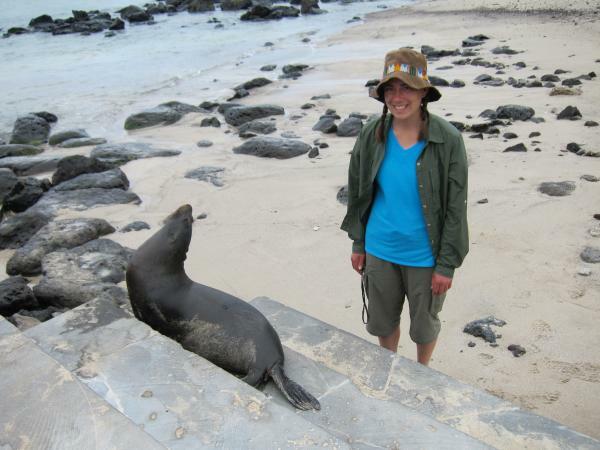 We spent an amazing week in the Galapagos, and we had a fun time hanging out with the wildlife. The animals are not afraid of people so you can go right up to them. 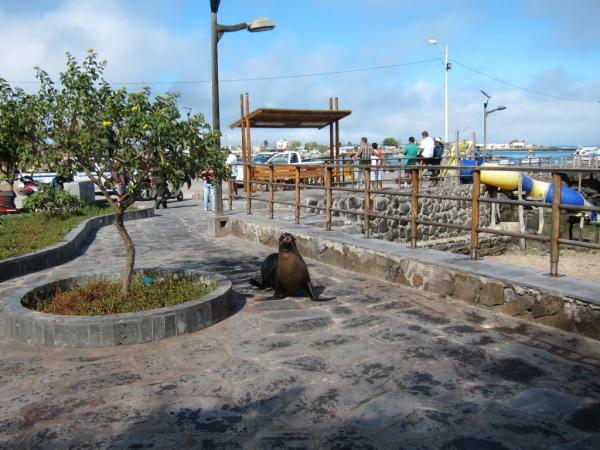 On San Cristobal island, sea lions were everywhere! While walking in town, there was a sea lion walking down the street! The sea lions also would sleep on the benches in the parks. Sea lion walking down the street! We really enjoyed watching the giant tortoises. It was especially fun to watch them eating. They don’t have any teeth, so they’re not very efficient at eating. It takes them a while to eat their food, but since they’re tortoises, they not in any hurry. 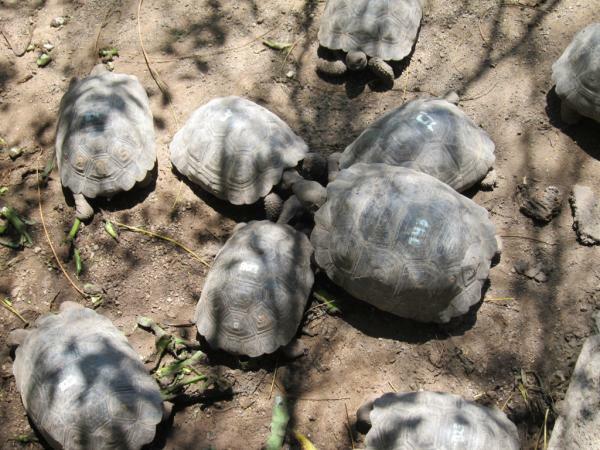 All of the islands have tortoise breeding centers to repopulate the islands. 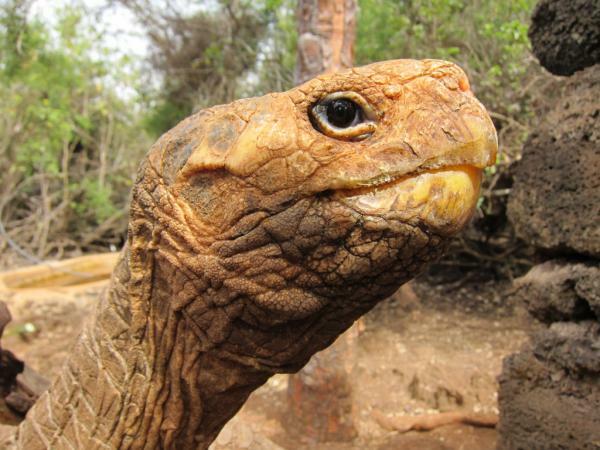 Ships used to stop at the Galapagos Islands and take the tortoises for food on the ship. Tortoises can live a long time without food or water, so they were a great source of fresh meat on the ships. However, this decimated the tortoise population, and a few species went extinct. 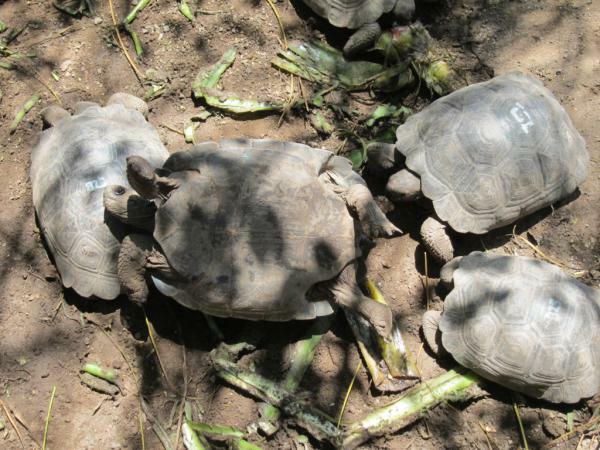 The breeding of the tortoises has been very successful, and we saw lots of cute baby tortoises. They keep them at the breeding center until they are five years old, and then they are released back to the wild. While we were on Isabela Island, we saw several baby tortoises fighting over some food, even though there was plenty of food for everyone. One tortoise in particular was being a bully and knocking all the other tortoises out the way. Another tortoise retaliated against the bully and knocked him on his back. The tortoise slowly flailed his arms and legs, but didn’t make much progess towards turning himself over. Then, the same tortoise that knocked the bully over onto his back took a “running” start and knocked him back over to the front side again. It was hilarious! 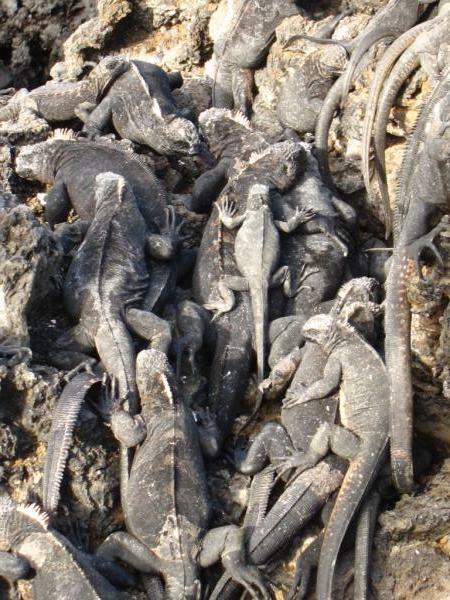 The marine iguanas were also very cool. They were hard to spot because they blended in so well with the black lava rocks. The marine iguanas have to regulate their own body temperature, and they get very cold after swimming in the ocean to eat algae off the rocks. So, when they get out of the water after feeding, they pile on top of each for warmth. 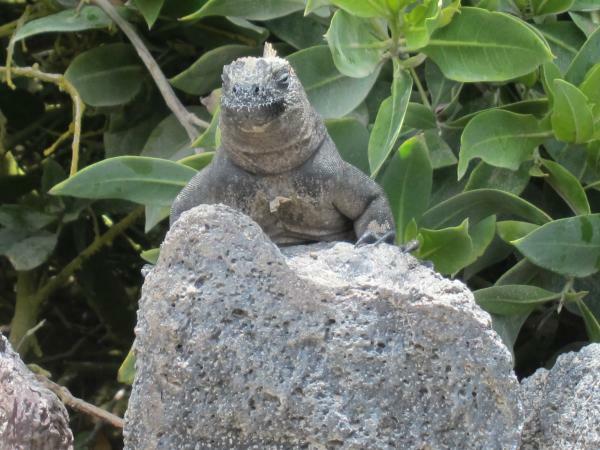 It was so funny to walk along the trail and see an enormous pile of marine iguanas. We had an amazing time in the Galapagos, and it was hard to leave. Our hotel on Isabela Island was right on a beautiful white sand beach, and it was a little slice of paradise. Staying at such a lovely place for our last couple nights made it even harder to leave. 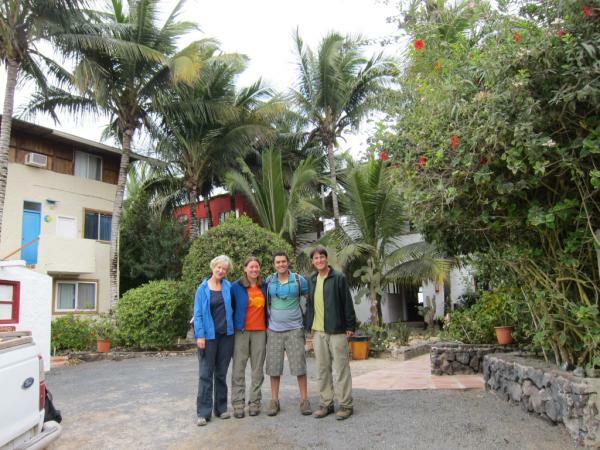 We spent four days in the rain forest at Cabañas Aliñahui, the Butterfly Lodge. I went there with my parents when they came to visit me when I was done with my study abroad program in 2003. I had such a wonderful time that I returned with Jonathan and his mom. The Butterfly Lodge lived up to its name. We saw lots of butterflies. The most beautiful butterflies were the brilliant blue morpho butterflies. However, they were impossible to photograph because you could only see the brilliant blue side of their wings while they’re in flight. We have lots of photos of blue blurs, but we did manage to get a few good photos. Check out the rest of our photos of butterflies. 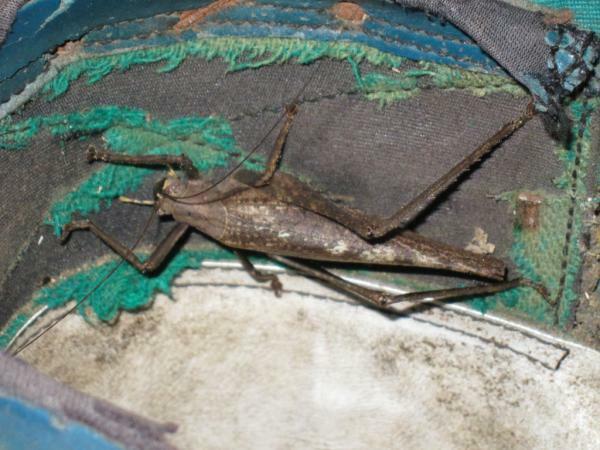 There are tons of insects in the rain forest, and they all seem to be super-sized. We saw huge ants called Conga ants that have huge jaws, and if you are bitten by one, you will get a fever. We also saw tons of spiders. 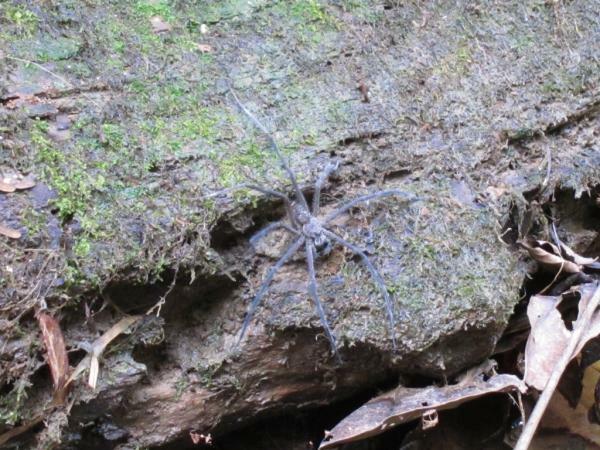 The craziest spider we saw was the poison water spider. It was the biggest spider that I have ever seen apart from a tarantula. If you get bitten, it will leave a huge hole that won’t heal for six months. Very nasty. They hide under the logs in the creeks, and they’ve very hard to spot since they blend in with the log. 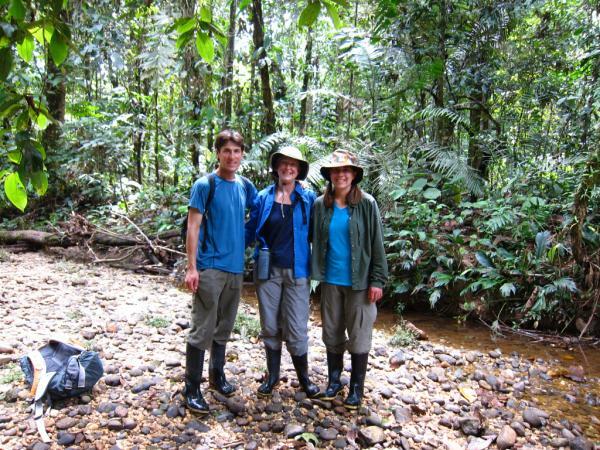 I was very glad that I was wearing thick rubber boots while hiking through the rain forest. Cabañas Aliñahui had a pool table, and we tried to play pool one night. This turned out to be a disaster. We had to turn on the light, and all the bugs came out. We tried playing anyway, and then I was trying to the get the ball in the hole only to discover an enormous grasshopper was in the hole. We gave up after this. 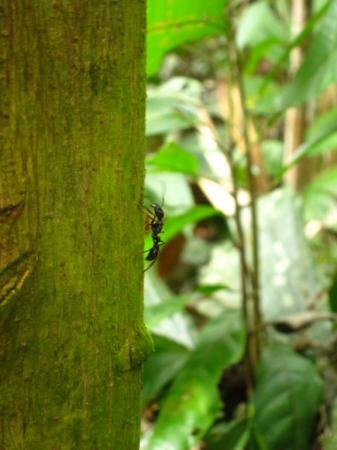 Check out the rest of our photos of the insects in the rain forest. 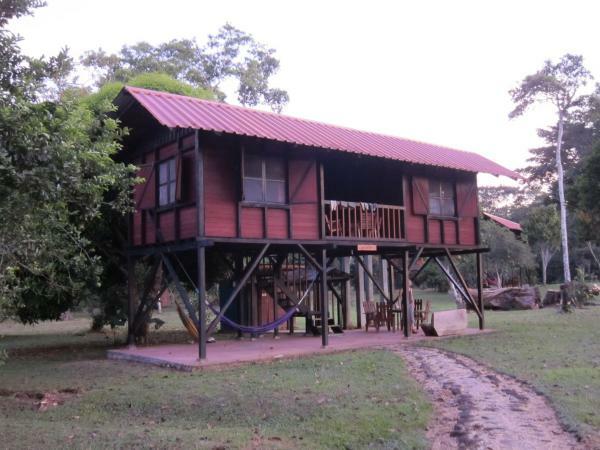 Cabañas Aliñahui is right on the Napo River, which is one of the main tributaries of the Amazon River. Since I was at Cabañas Aliñahui last, the meander of the Napo River that went by the lodge was cut off, so it was further to get to the river. 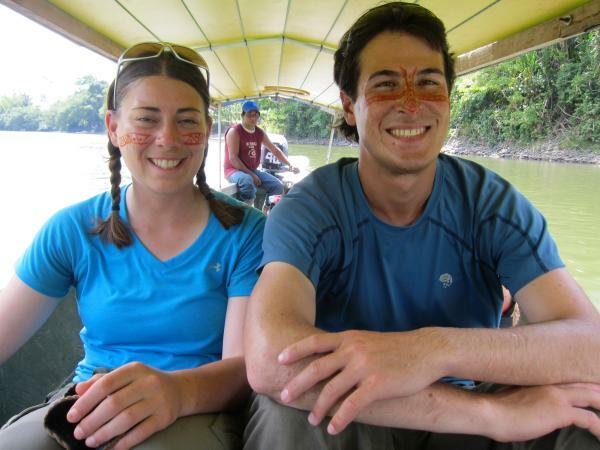 We spent a day traveling along the Napo River. 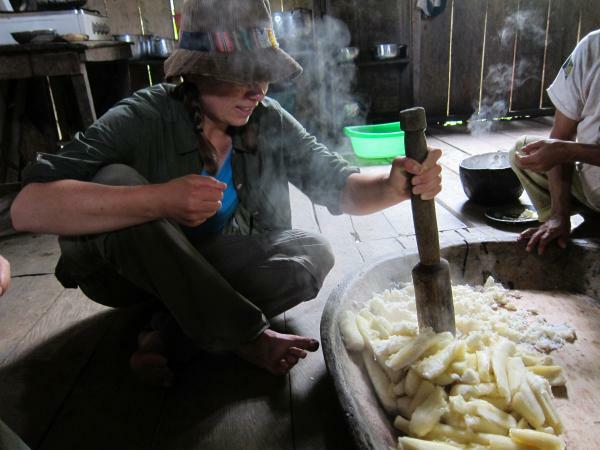 We visited a family at an indigenous community and helped make chicha beer from yucca. We also visited a museum about the indigenous people that live in the area. Our guide painted our faces like the indigenous do in their ceremonies. 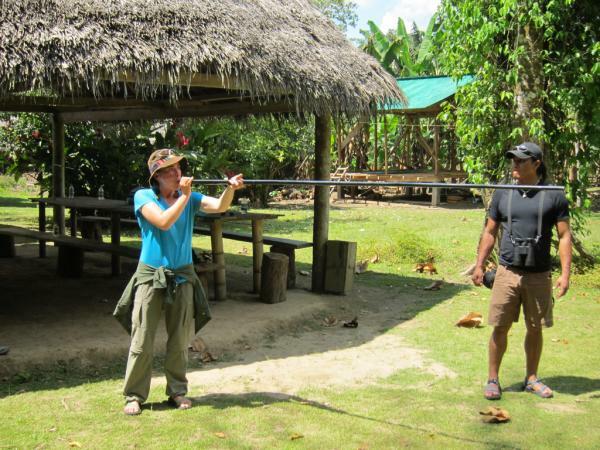 Then, we also go to try out the blowgun, which was lots of fun. We also visited an animal rescue center called amaZOOnico. 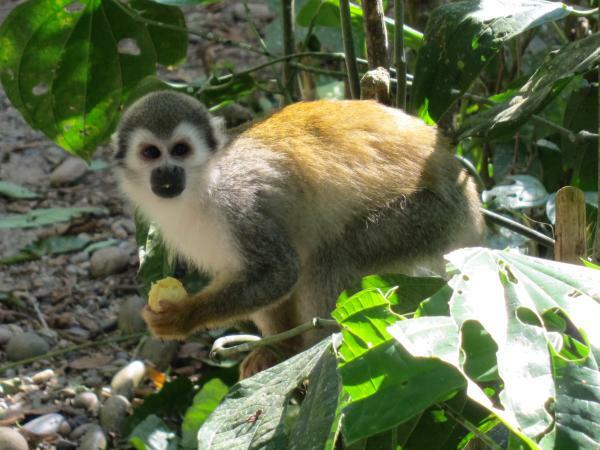 They help to rehabilitate animals that have been illegally kept as pets and release them back into the wild. It was difficult to see animals when walking through the rain forest, so it was neat to be able to see the animals close up. We really enjoyed our time at Cabañas Aliñahui. Check out the rest of our photos. Unfortunately, we’re probably going to be one of the last people to visit. The government of Ecuador decided to build an huge airport right next to Cabañas Aliñahui. No one is going to want to go a lodge in the rain forest if jets are flying over all the time. So, it looks like Cabañas Aliñahui is going to be closing down before the airport opens next year. It made our visit even more special knowing that we would one of the last people to enjoy the beautiful setting of Cabañas Aliñahui. Political Unrest Follows Us Everywhere! 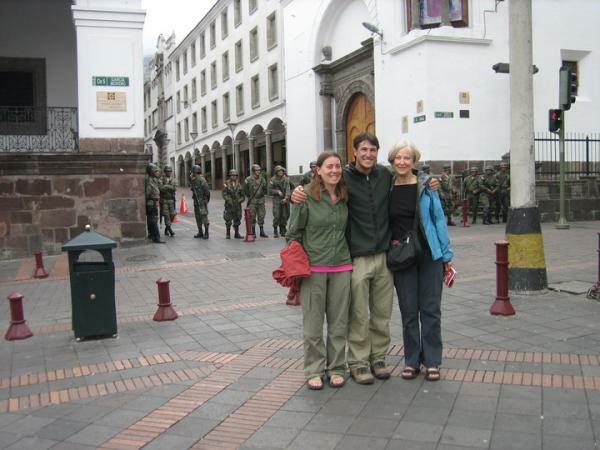 The next morning, we tried to find out what was going on and whether it was safe to return to Quito. It seemed that everything had calmed down. The president was back in the presidential palace, and the military had taken control of the country in place of the police. We finally heard from Deborah. She had flown from Chicago to Atlanta, but then her flight to Quito was canceled because of the civil unrest. Of all the days to try to fly to Quito! So, she was stranded in Atlanta. 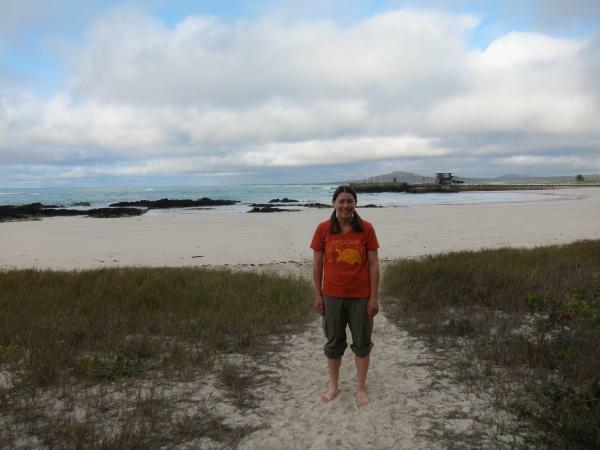 She was confirmed on a flight on Tuesday, but that would be after we were supposed to go to the Galapagos. She was trying to get on the next flight to Quito on standby. Fortunately, the airport had reopened, so flights were coming into Quito again. We decided to stay in Yunguilla one more day to wait for everything to calm down more. Saturday, we returned to Quito, and everything was completely normal. It was like nothing even happened. 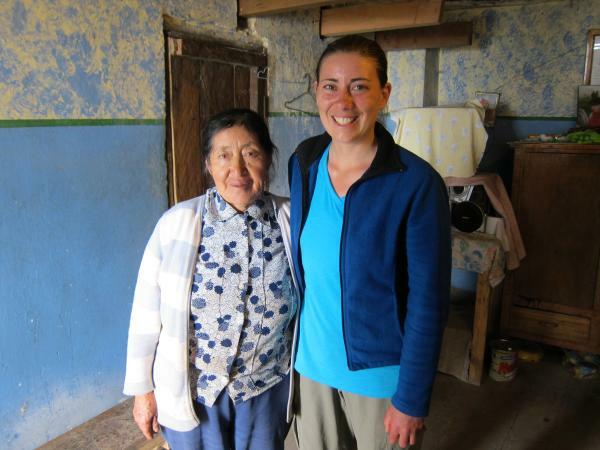 When we arrived, we were able to check our email again, and we found out that Deborah had made it on a flight to Quito the day before. Despite all the craziness, everything worked out okay, and we would still be able to leave for the Galapagos the next day. We walked around the city a bit after meeting Deborah, and then, we discovered that everything was not quite back to normal. While we were walking, a bunch of armored humvees with huge guns on top drove down the street. It felt like we were in the middle of Bagdad. Then, we walked by the Presidential Palace, and there were 300 military men guarding the palace. All the streets to the presidential palace were blocked off. However, nothing was going on, and most of the activity was tourists like us taking our photo with all the military men. 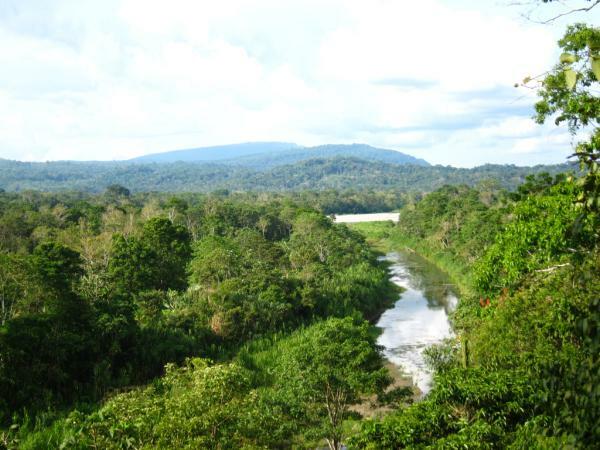 When I studied abroad in Ecuador, I spent a month doing an internship in Yunguilla. 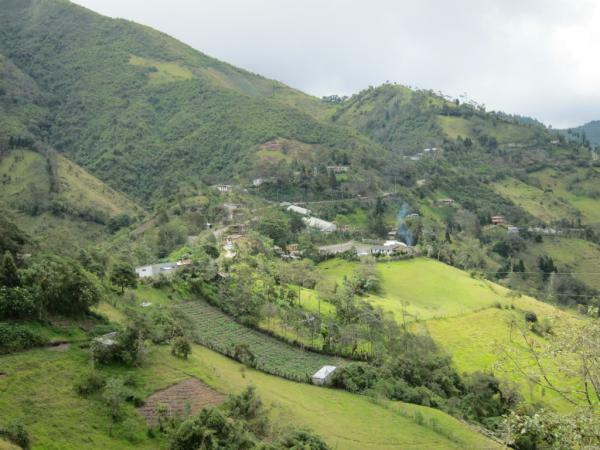 Yunguilla is a small community of 300 people northwest of Quito in the cloud forest. 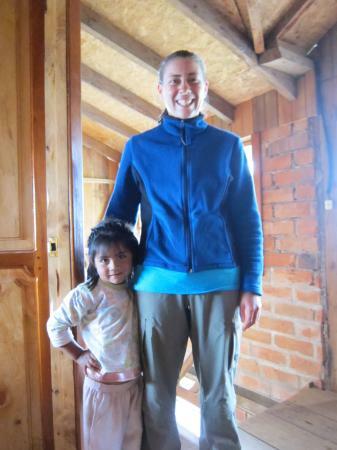 Since we were back in Ecuador, I returned to Yunguilla to see all the people I worked with before. We volunteered with the community projects, and it was fun to do something different. 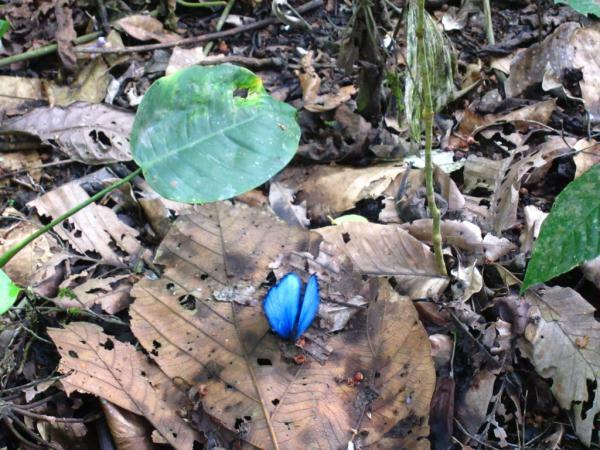 We helped clear the trails in the cloud forest used for their eco-tourism project. 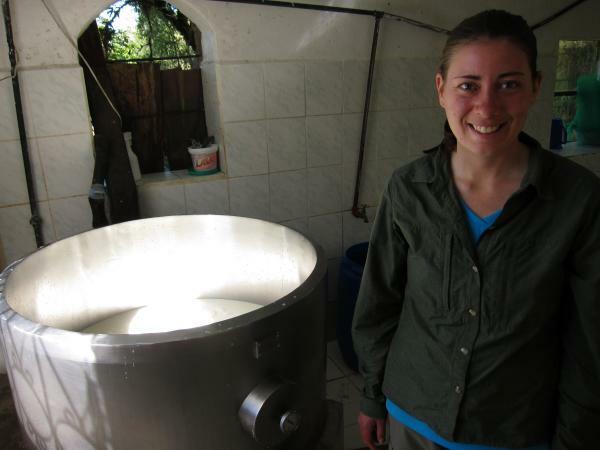 We also helped make cheese and jam and attempted to milk cows. Check out the photos. We stayed with a family while we were in Yunguilla. We happened to be staying with a couple that I had worked with while building a chicken house when I was in Yunguilla before. They had a cute 4 year old daughter, Miranda, that we played with while we were staying in Yunguilla.